Historic Madison Square Park is the vibrant center of Manhattan's Flatiron District offering flourishing gardens, lush lawns and cultural programs for all ages. 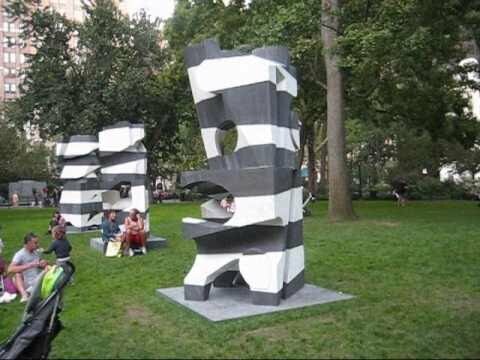 Located on 6.2 acres between 23rd and 26th streets and Fifth and Madison avenues, the park has become an oasis for those who live and work nearby. Only 10 years ago, historic Madison Square Park was neglected and crime-ridden. People walked around it instead of going inside. 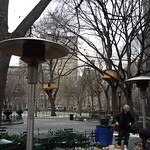 In June 2001, after a two-year capital restoration project, Madison Square Park was rededicated and shortly thereafter the Madison Square Park Conservancy was created to oversee the greening, grooming and cleaning of the park. The conservancy was also established to oversee a host of park programs and activites. In June 2004, the Conservancy introduced its new "green" food Kiosk, Shake Shack, by renowned architect James Wines of SITE Environmental Design. The innovative design of the ivy-covered, zinc-clad structure echoes the angles of the Flatiron building. Operated by Danny Meyer's Union Square Hospitality Group, the food kiosk's proceeds benefit Conservancy programs. The Shack has already transformed the south end of the park into a popular dining hub in keeping with Conservancy's mission of continually expanding opportunities for visitors to the park. In addition to tending the park's lawns, gardens and trees the Conservancy provides free high-quality cultural programs. Mad. Sq. Art brings significant contemporary art exhibitions into the park for year round enjoyment. In addition to an award winning playground, Mad. Sq. Kids offers many family programs including weekday summertime performances, Saturday Kids Fest in the spring and fall and Family Art Workshops. Mad. Sq. Music presents free concerts during the summer and fall. Mad. Sq. Reads is our summer reading series featuring notable authors. The Conservancy recognizes and thanks park sponsors Credit Suisse and Con Edison for their leadership in providing our lush and beautiful natural environment.